Chances are in the next few weeks you will either making or eating some delicious recipes. 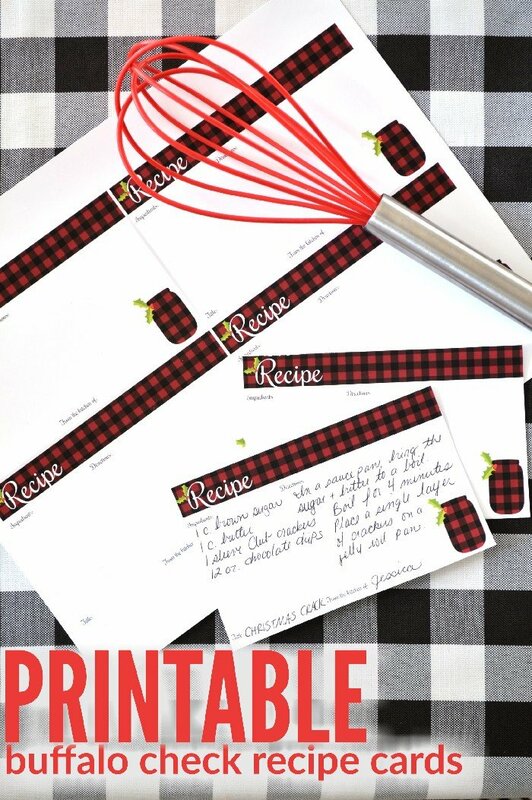 Make it easy to share those recipes by printing off some recipe cards before you attend your next Christmas party. 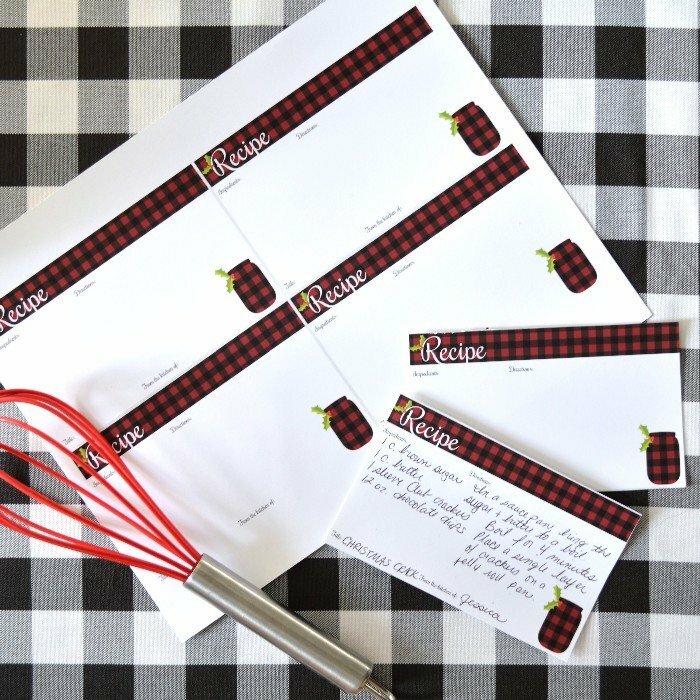 I created these buffalo check recipe cards so you can keep track of all the great new recipes you taste over the holidays. 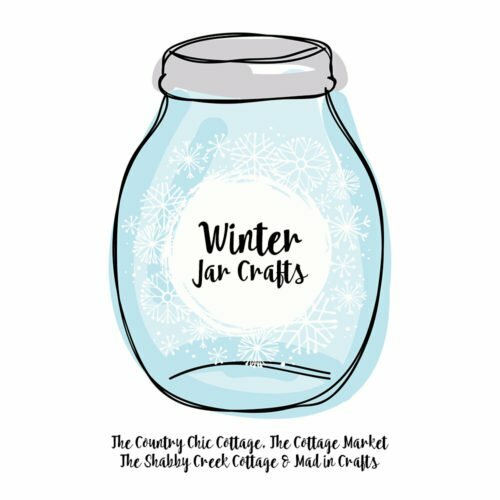 Each day this week, I have been sharing a new winter themed mason jar craft. Check out my tutorials for Day 1 ,Day 2, and Day 3 too. 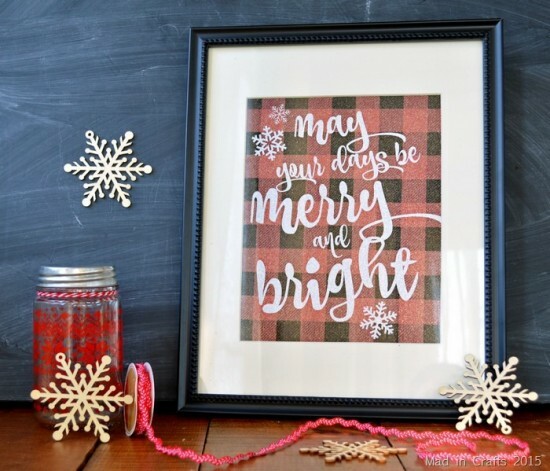 At the end of each post, I link to the other mason jar crafts shared by my friends that day too. 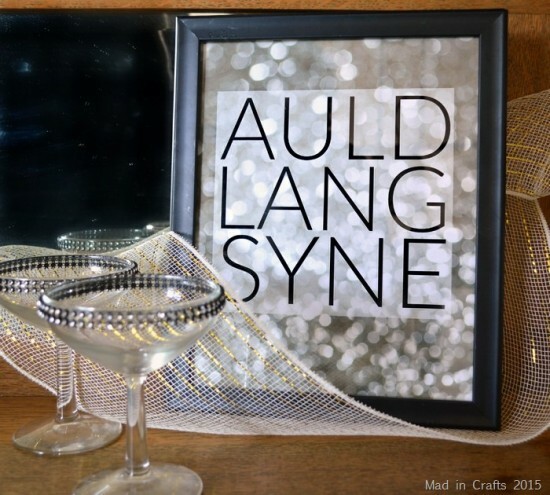 Check them all out! 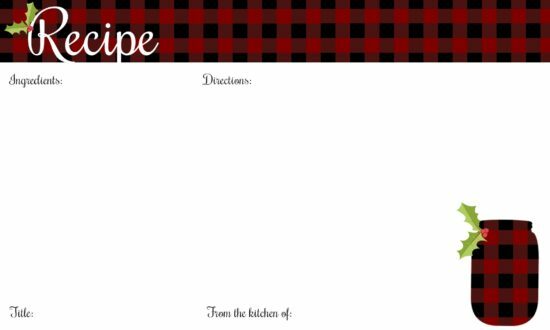 Get a print-quality PDF of four recipes cards on one sheet HERE. Please only use this printable for non-commercial use. What is the holiday recipe you are best known for? Without a doubt, mine is my Christmas Crack candy. If you have a signature recipe, please leave it in the comments. I’d love to see it!